Transversus Abdominis – This is the deepest of the abdominal muscles. This muscle is located under the obliques and wraps around your spine for stability and protection. Rectus Abdominis – This muscle is commonly referred to as the ‘six pack’, for its characteristic bumps when contracting. This muscle is located along the front of the abdomen to provide movement between the pelvis and ribcage. 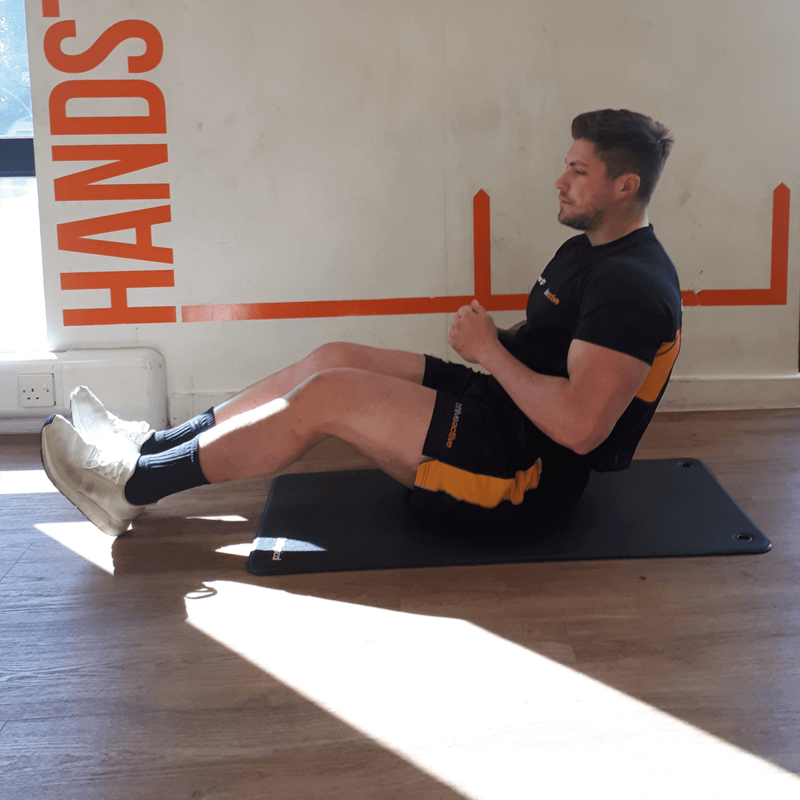 External Abdominal Obliques – These are located on either side of the rectus abdominis which allows for twisted movements to their opposite sides. Internal Abdominal Obliques – These are located under the external obliques, just inside the hip bone. These muscles operate in the opposite direction to the external obliques to aid the twisting movement from the hips, waist and torso. The first of our beginner abs exercises is the Front Plank Full. It is a great way to work your transverse abdominis muscles without using any equipment and can be easily adapted for all experience levels. First, start on your hands and knees. Then whilst keeping your abdominal and back muscles contracted, slowly lower yourself onto your forearms. Then extend your legs behind you, in line with your hips, until you are resting on the balls of your feet. You can always place one or both knees back onto the floor to help alleviate any pressure or to aid stability if required. 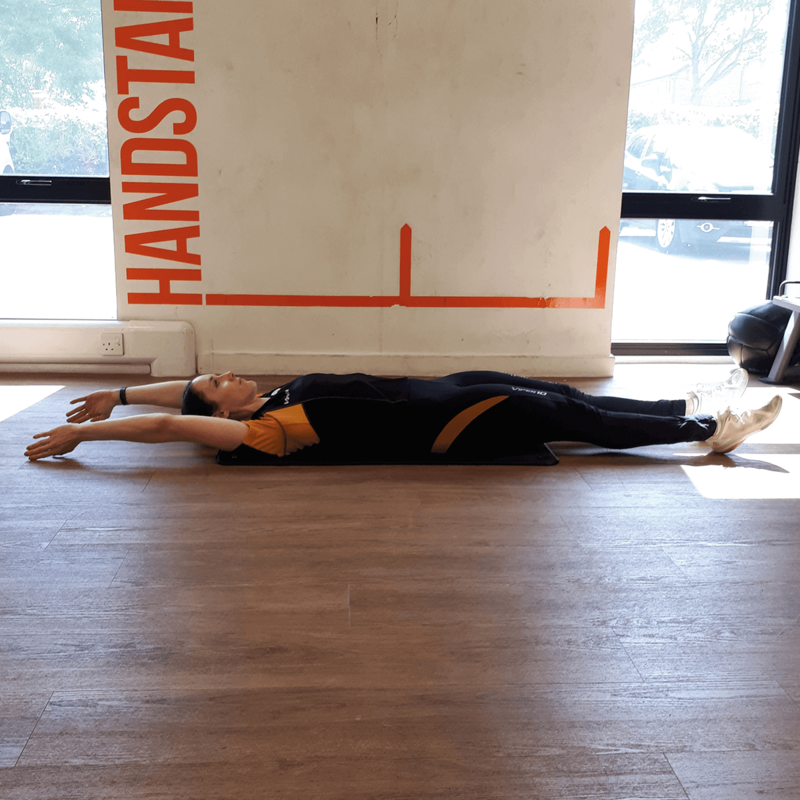 Ensuring your back is kept straight, hips are square and your neck relaxed (to prevent strain), hold this position for up to 5 seconds then slowly return to your hands and knees. Repeat this 8-10 times. Want to push yourself further? Place the balls of your feet on a BOSU® balance trainer, to maintain stability you will need to engage other muscles within your core and legs. Equipment needed: None. Use BOSU® balance trainer for harder option. The V sit-up is a must for our beginner abs exercises. Performing V Sit-ups helps to engage the rectus abdominis muscles as well the internal oblique muscles. To start lie on your back with your arms either side of your body, palms facing down. As you engage your core, lift your left leg and upper body from the ground. Keeping your leg straight at all times, and reach your right hand across your body until it touches the outside of your left foot. After this, slowly lower your body back to the floor and repeat using your other arm and leg. Continue to alternate legs for 30 second bursts. Too easy? Try and hold your arm and leg up for longer or alternatively, try to lift both legs and arms at the same time whilst controlling your movements throughout the abs exercise. 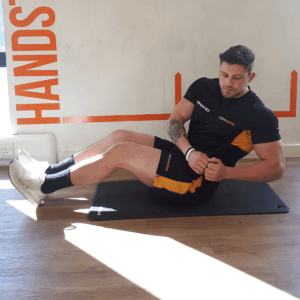 To get an effective internal and external abs workout, you need to ensure all of your movements are initiated from the core and are slow and controlled. 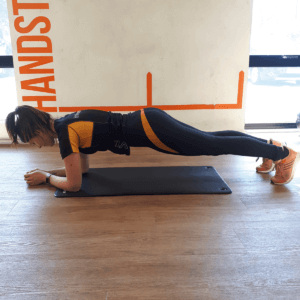 You can start this exercise without weights and add weights once you have become comfortable with this beginner abs exercises. 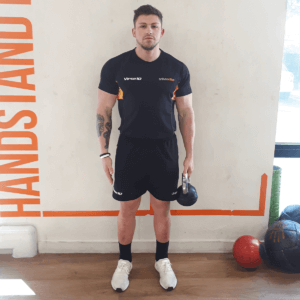 Stand with your feet shoulder width apart and, if you’re more confident, a low weight dumbbell in your right hand. Engage your core and bend from the waist towards the floor, allowing the weight to guide you straight down. Using your core alone, pull yourself back into the original position and repeat for 30 seconds. Then switch your weight to your other hand and repeat for a further 30 seconds. Want to step it up? Try increasing your dumbbell weights. Be sure to do this gradually as to prevent injury. Equipment needed: Body weight, developing into using dumbbell. The Russian twist is an intensive abs workout exercise for your internal and external abdominal oblique muscles. With this beginner abs workout, start from a seated position on the floor with lots of space. Then raise both feet a few inches from the floor by engaging your core muscles and lean back slightly. Holding your hands together, slowly twist your upper body from side to side. Try to touch your elbow to the floor on each side whilst keeping your body raised. Want to toughen your twists? 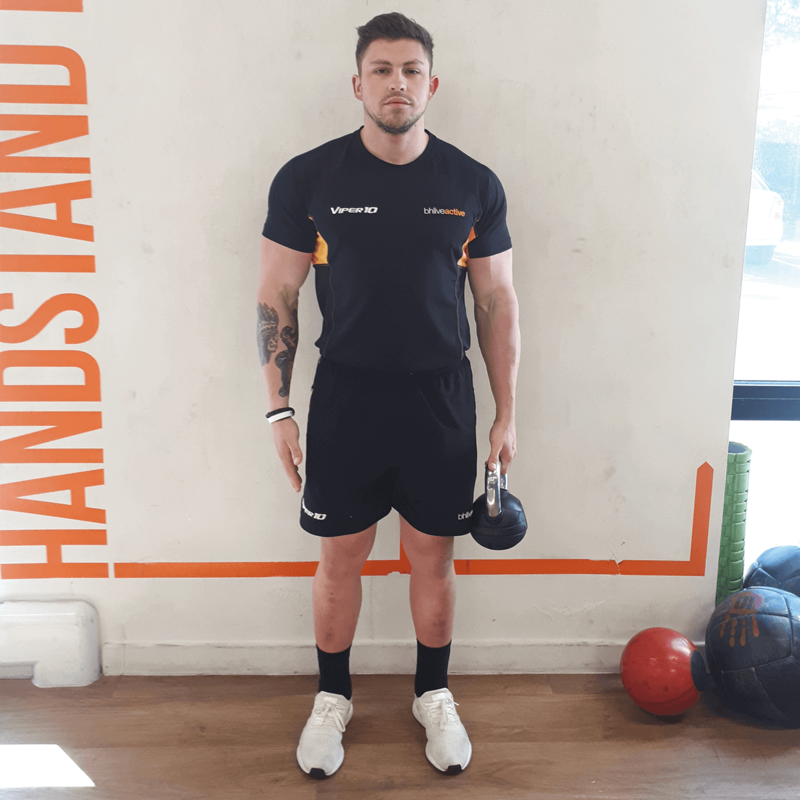 Try holding a medium-low weight dumbbell or medicine ball in your hands, with the aim of touching it to the ground as you twist your body. 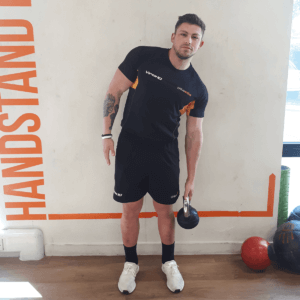 Ensure you are selecting a weight where you can still maintain slow and controlled movements. Equipment needed: None, or medicine ball for harder option. 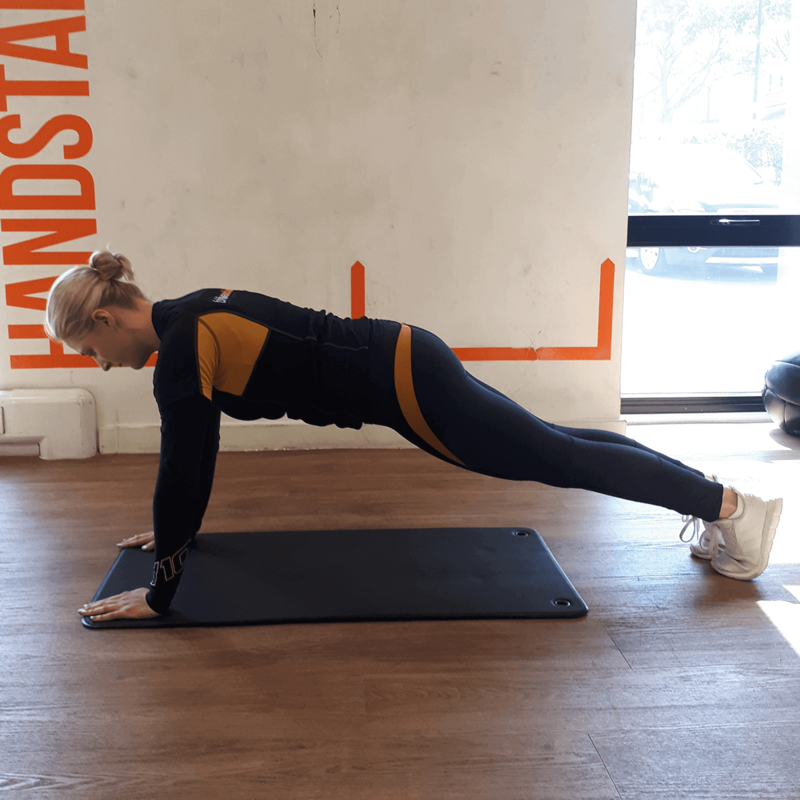 To avoid muscle strains a warm up prior to exercise should be carried out as well as regular stretching, keeping good form throughout and a thorough cool down afterwards. At a beginners level it is important to allow your muscles to recover, therefore be sure to start with no or low weights and work your way up slowly, allowing recovery time between workouts. Alongside core exercises, a healthy diet is also important on the journey to defined abs. Abs may only become apparent when body fat is less than 15%, however this will vary from person to person. Read more great tips to get perfect abs by MensHealth and get yourself closer to achieving your fitness goals. If you have any concerns regarding core exercise, especially after any medical treatment, we recommend you consult your local GP or talk with a fitness advisor before undertaking any of the above exercises. This blog article was written by Robyn MS, BH Live.